A blue skirt looks lovely against all that white snow. Warm fur hats have been pulled out of the closets all over the city. 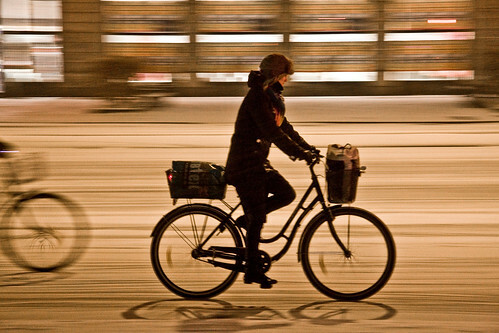 Battling a snowstorm and headwind is ALWAYS cosier if you have someone to chat with. Happy New Year! 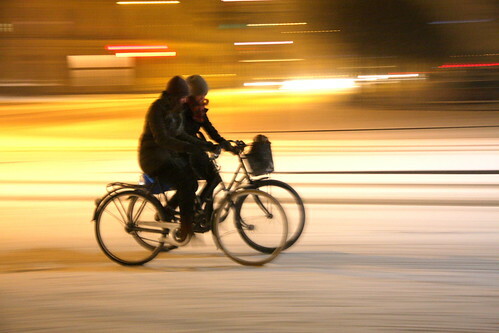 I'm so looking forward to more Copenhagen Cycle Chic in 2010. Your latest night photos are especially intriguing. 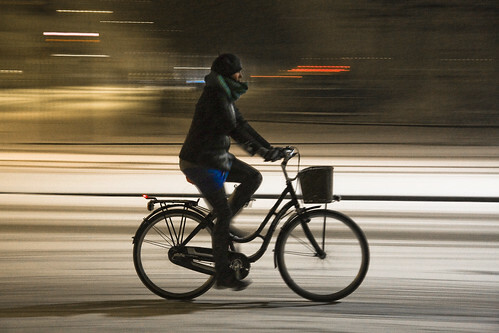 Love these wintry photos. Thanks from snow-deprived California.